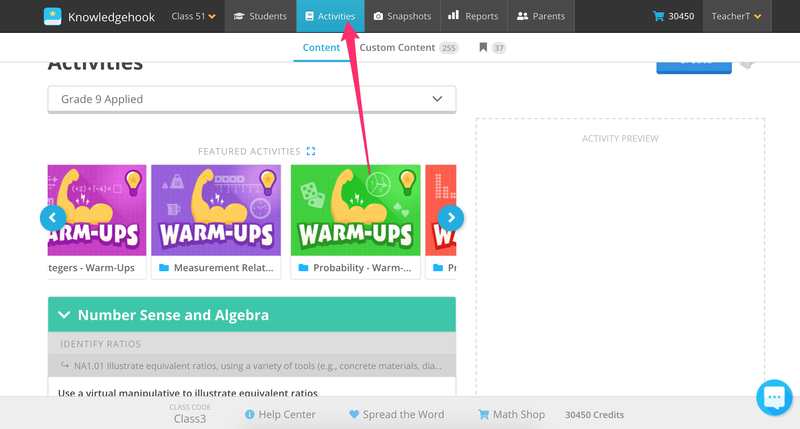 Missions are self-paced question sets (activities) that allow you to differentiate activities to specific students and that allows students to work at their own pace. They are very good any time you have students working at different pacing, times, or locations (ie. homework, class/station activities, differentiated practice). To assign content, go to the Activities page from the main menu. It will automatically take you to the Content tab . You can use content as it is or Make a Copy that you can edit and customize. Once you've found the Activity you want to use for the Mission, you can assign it with only a few clicks. 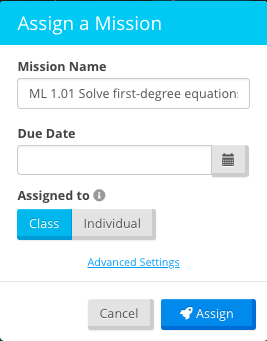 Give the Mission a Name, use the date picker to set the Due Date, and you're done! It will appear in the Reports page. To make your Activity from scratch, read Creating a Custom Activity from Scratch. To keep the Mission hidden until a future date, set a Start Date in the future. Students won't see it until that morning. 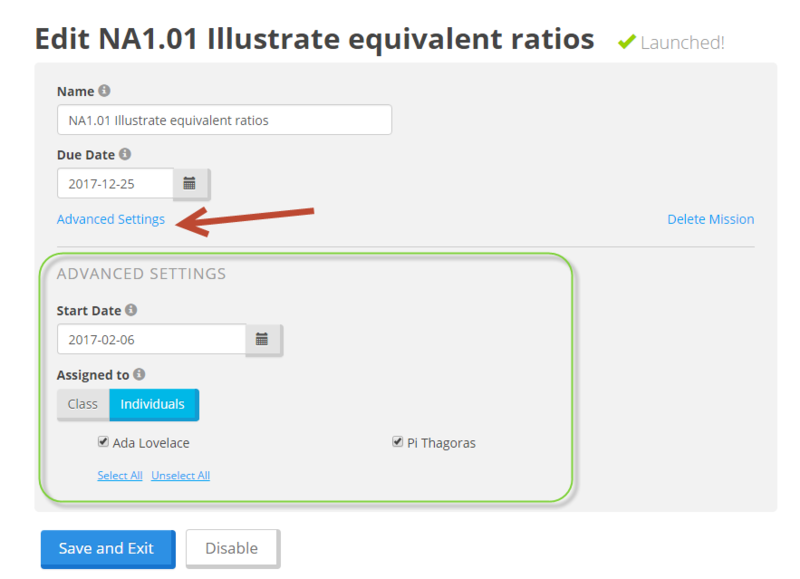 To assign to individuals, click Assigned to Individuals. It will expand a list of existing students. Then click the Launch button (or Save and Exit if it was already launched).